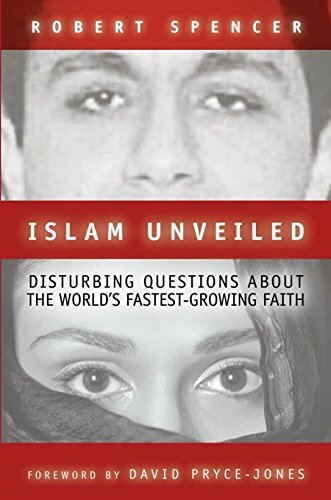 [PDF] Islam Unveiled: Disturbing Questions about the World's Fastest-Growing Faith | Free eBooks Download - EBOOKEE! Description: In "Islam Unveiled," Robert Spencer dares to face the hard questions about what the Islamic religion actually teaches--and the potentially ominous implications of those teachings for the future of both the Muslim world and the West. Going beyond the shallow distinction between a "true" peaceful Islam and the "hijacked" Islam of terrorist groups, Spencer probes the Koran and Islamic traditions (as well as the history and present-day situation of the Muslim world) as part of his inquiry into why the world's fastest growing faith tends to arouse fanaticism. "Islam Unveiled" evaluates the relationship between Islamic fundamentalism and "mainstream" Islam the fixation with violence and jihad the reasons for Muslims' disturbing treatment of women and devastating effects of Muslim polygamy and Islamic divorce laws. Spencer explores other daunting questions--why the human rights record of Islamic countries is so unrelievedly grim and how the root causes of this record exist in basic Muslim beliefs why science and high culture died out in the Muslim world--and why this is a root cause of modern Muslim resentment. He evaluates what Muslims learn from the life of Muhammad, the man that Islam hails as the supreme model of human behavior. Above all, this provocative work grapples with the question that most preoccupies us today: can Islam create successful secularized societies that will coexist peacefully with the West's multicultural mosaic? No comments for "[PDF] Islam Unveiled: Disturbing Questions about the World's Fastest-Growing Faith".